War grief, lust and sacrifice go through a familiar spin cycle in The Aftermath, a period drama that could have been made and forgotten in the 1940s, now with a modern cast that deserves better. 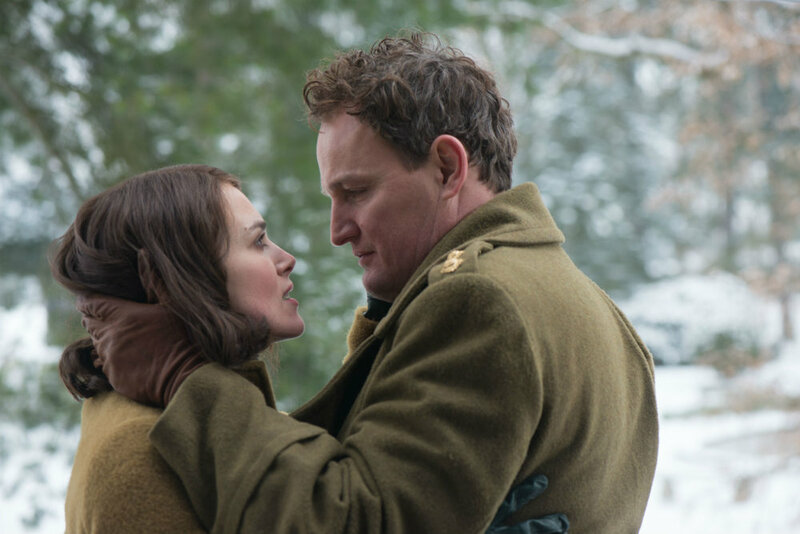 Keira Knightley is Rachael Morgan, a middle-class English woman who arrives in Hamburg in the winter of 1946, where her colonel husband, Lewis (Jason Clarke) is involved in reconstructing the city, digging bodies from the rubble, keeping his rabid army colleagues in line and suppressing his feelings. A scene from The Aftermath. At least, Lewis has provided Rachael with a sumptuous mansion to live in, afflicted with one inconvenience. Lewis has allowed the house's owners, a widowed architect and his teenaged daughter, to continue living in the attic. The burly, brooding Lewis, in his army cap and great coat, heads off each day to his grim work. At home, Rachael bristles at every encounter with the upstairs neighbours, including the faultlessly polite Stefan Lubert (Alexander Skarsgård) and his openly hostile daughter Freda (Flora Thiemann), whose mother was killed by an Allied bomb. Rachael and Lewis lost their young son in the Blitz to a German bomber, so there are sore feelings on both sides. The Aftermath is directed by James Kent (Testament of Youth), based on a 2013 novel by Rhidian Brook (before it was a novel, the story was a film project for Ridley Scott's production company). It’s obviously intended as a story of healing and compassion for the enemy, but it ends up as a lukewarm potboiler, with a dubious Nazi backdrop. A critical problem is that characters' behaviours change so abruptly, it feels as though transition scenes were dropped from the screenplay. For example, Rachael flips from loathing to lust in a handful of scenes and is soon engaged in what seems to be a conscience-free adulterous relationship with Stefan. (A friend compliments her on how well she's looking). Apart from a bout of fervent grunting on the dining-room table, though, it's all terribly civilized. Meanwhile, Lewis is busy interrogating Nazis and rebuilding the free world (just think: 14 years later The Beatles were in Hamburg!) to hold up his side of the love triangle. Among his many tasks is quashing an insurgent group of Nazi youth, tied to an aimless subplot that see's Stefan's daughter Freda hanging with a really bad crowd. Not only does her boyfriend encourage her to steal cigarettes, he's an actually Nazi terrorist. While we are obliged to take Nazis and the horrors of war with gravity, for contemporary audiences the most obvious takeaway from The Aftermath is that you should really never, ever leave your bored, sad, beautiful wife alone in a mansion with Alexander Skarsgård. As we know, beneath that mild hotel concierge exterior, almost everything the Swede touches (True Blood, that Lady Gaga video, Big Little Lies, The Little Drummer Girl) demonstrates that he is a ticking bomb of lust and home-wrecking. Is Rachael really supposed to resist Stefan chopping wood in a body-hugging sweater? (Except maybe in this role - Ed). Except the real Nazis, every character in The Aftermath has good intentions, marred by some moments of poor impulse control. And they are a little dull. If your attention wanders from the quivering emotions and evocations of historical devastation, Knightley wears a splendid variety of elegant forties-era wool coats and silk frocks throughout, courtesy of costume designer Bojana Nikitovic. In summary, not a good movie, but Alexander Skarsgård and some great vintage clothes? I suspect it may yet find its audience. The Aftermath. Directed by James Kent. Starring Keira Knightley, Alexander Skarsgård, Jason Clarke. Opens wide March 22.